By using a secure trading and an Exchange Platform, ECB is going to offer the way that how to make money on crypto currency market,. And also it take care of the domestic internal revenue services and convert the cryptocurrencies into all traditional assets without any risk of suspicion in Money Laundering of tax frauds. 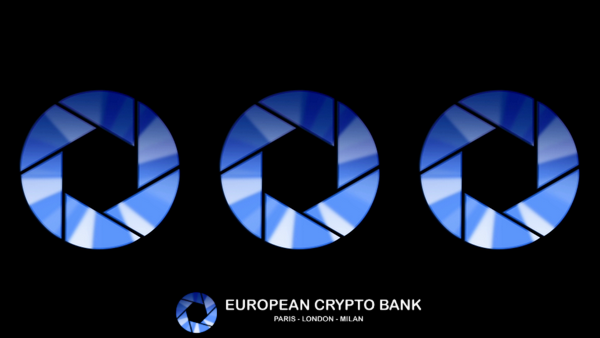 European Crypto Bank (ECB) is the culmination of 10 years of work and knowledge of financial markets, analysis and research. FORGUES GESTION France, FOURGUES GESTION UK and WOOSPEAK are the 3 companies of this agreement and Oliver FORGUES and Mikael MISARD are the 2 men of this agreement. While facing a bank system that really appears aggressive and unfriendly, towards the Crypto Eco-Sphere, the main problem that the crypto investors face is how to convert their crypto portfolios into all traditional assets. By offering a secure trading multilingual exchange platform, by using the exiting KYC and AML software, ECB is determined in responding to this huge problem properly.  Trading Exchange and leverage services on cryptocurrencies and FIAT.  I.A. and Human Tax Advisories : all around Europe, the Tax Lawyers Team will advise and represent the ECB customers.  Just like a human advisor,robot advisory able to understand humans and respond with the best efficient, emotional and suitable attitude immediately.  By creating a gateway between crypto currencies owners and all traditional assets over the next 4 years in Europe, the target of ECB is to become a fully regulated crypto Bank. ECB Cryptocurrencies Trading and Exchange platform is recognized as an assured website to buy/sell or exchange Cryptocurrencies and other currencies as US Dollars, Euros and other assets. Olivier Forgues (President of ECB) faced the Money Laundering Affair and the large-scale Tax Evasion, which was organized by UBS in France and then across Europe and the USA, in 2008. The aim of ECB is , to start a change within the Market. Then that the vast range of non-technical customers could take advantages from opportunities that Cryptocurrency and the blockchain industries offer. ECB is determined to provide a highly reliable quality level in tax, and supply Financial and Cryptocurrency Analysis. And also we hope to train the new investors about the Cryptocurrency Markets. The market represented by Crypto is limited to a small community of people, who have an interest in this technology and the concept of Cryptocurrencies is also relatively new. The confidence in the Crypto Market, is the main problem in order to reach a mass adhesion. By providing an easy-to-use one-step-solution, that is suitable for individuals and businesses, regardless their level of experience the Law Tax Rules in their own countries and by avoiding any case of Money Laundering ECB aim to bring the Cryptocurrencies and the Blockchain products and services to the masses. It is believed that ECB is offering a large and complete services for investors, with the execution of the Robot Advisors and offering a full research about Crypto Currencies. And it includes a training guide for all beginners in their own mother tongues. THE FUTURE which is called ECB seek crowd-funding in the form of an Initial Coin Offering (ICO) – Token Swap (ICO). The Token sale volume is 5,000,000 to 200 000 000 Eurosand the Token Sales Volume during ICO is 7 936 507 to 345 414 463. Soit is stated that the Total emission Volume is 15 873 014 to 677 283 261. Distribution of tokens is Crowdsale members 51%, The company 24%, The Team 23%,and the Bounty Program 2%. Tax assistance and Tax litigation, services.